This online teacher’s training home study course is comprehensive. No secrets, wisdom or knowledge is withheld. In addition to learning the profound art of yoga, you will also be taught Meditation and Pranayama, as well as the practical wisdom on how to run a successful yoga studio and create a high traffic yoga web site. Today there is no greater need than spiritual teachers and guides, and there is no greater calling either. I hope you choose to join us in walking this noblest of paths. Here is some of what the program teaches you. Here are 3 of the 20 videos that are part of this training program. You will find many more videos and articles of mine on my YouTube channel and web site, and here are those links for you to review. Here are the highlights of how this comprehensive self-study program works. Duration: The certification course is an 8 week program, although you can take more or less time as required. It is designed to let you go at your own pace. If you are proficient at yoga already you can finish the program faster. Support: You get full email support from me. I have created this program and am the author of Mastery of Meditation and Yoga, one of the largest and most popular yoga and meditation portals on the internet. Material: All the instructor training material is available immediately for download upon registering. The material is also available online, so you can access it from any computer at any time. Examination: Upon completion you take an open book take home exam. Upon passing it you receive a signed certificate from me and Mastery of Meditation and Yoga, certifying you to teach yoga, as well as meditation and pranayama. If you fail the exam you get to try again till you pass. 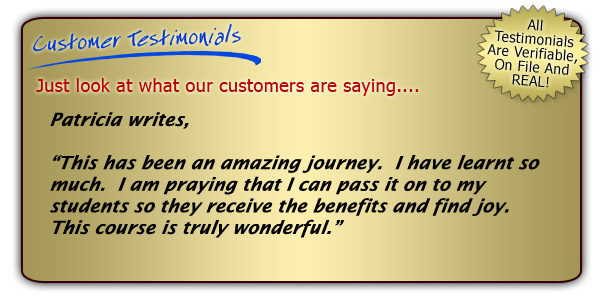 For more student testimonials and reviews of the course you can visit the official Mastery of Yoga Teacher Training website here – Yoga Teacher Training Home (www.yoga-teachers-training.com). With over 1,000 download, this is my most popular product and I really want you to have it if you plan on being a yoga teacher. This is because, Amazing Insights will answer for you the most difficult questions regarding life and Reality. Important truths about Enlightenment, Purpose, Meaning, Knowledge, Destiny, Karma, Relationships, Reincarnation and more are revealed in this book. 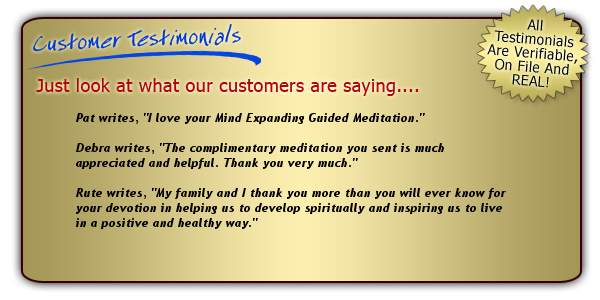 I am certain once you complete the Yoga Instructor Certification Program, you will not just be a great teacher, but you will also have the necessary skills to create transformational products, such as this Mind Expanding Guided Meditation. You will understand deeply how profound the method that was used to create this meditation truly is, and you will be able to apply such wisdom in creative ways of your own. In this way, your creations will then help to spread the light and raise the level of human consciousness. This meditation reveals your Higher Self to you. Fees:My interest and passion are spreading the wisdom of yoga and meditation, and helping others to do the same. 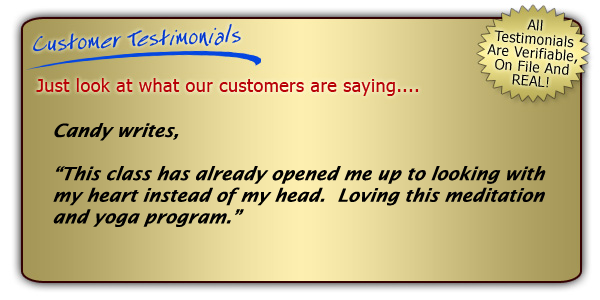 I have worked very hard to make sure this program gives you exceptional value for your money. You decide how to much to pay for the certification program, based on the two options below. If you can afford it, you can pay $67, if you cannot, you can choose to pay just $47. I really want to make sure that money does not prevent you from walking this path. The training program itself is the SAME regardless of how much you can pay, though the higher level earns you greater exposure and valuable listings. Here is what you get for each pay level upon completing the program. $47 Level – Certificate and Letter of Recommendation. $67 Level – Certificate, Letter of Recommendation, Teacher’s Directory Listing and Listing on Best Yoga Sites Page. The Online Yoga Instructor’s Certification Program, like all my products, comes with a 60 day 100% no questions asked money back guarantee. There is absolutely no risk to you. Just FYI, so far I have had to give back a total of zero refunds :-). To join simply click the ADD TO SHOPPING CART button below and you will taken to Anmol’s Yoga and Meditation Store for 100% safe and secure checkout. At checkout you will be able to pay with Credit Card or PayPal. We accept international credit cards as well. Upon payment you will receive an email with a link to download a file with instructions on how to complete your enrollment, how to access your bonus gifts and how to download the material for the program. This file is in HMTL format which you can open with any browser. Please follow the instructions in that file to complete your registration. If you have any questions or issues please feel free to email me at anmol@anmolmehta.com. You Also Get the 2 Bonus Gifts Valued at $34 for FREE! 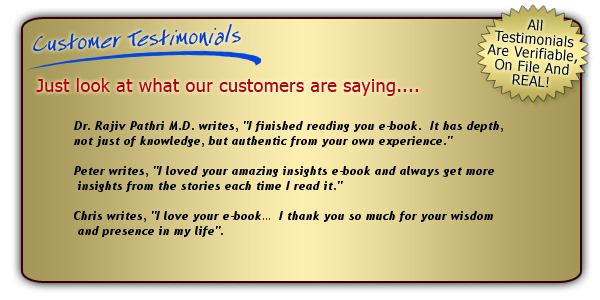 For any issues or questions please do not hesitate to contact me at anmol@anmolmehta.com. Do join us and wishing you the very best on your journey back to the Source.